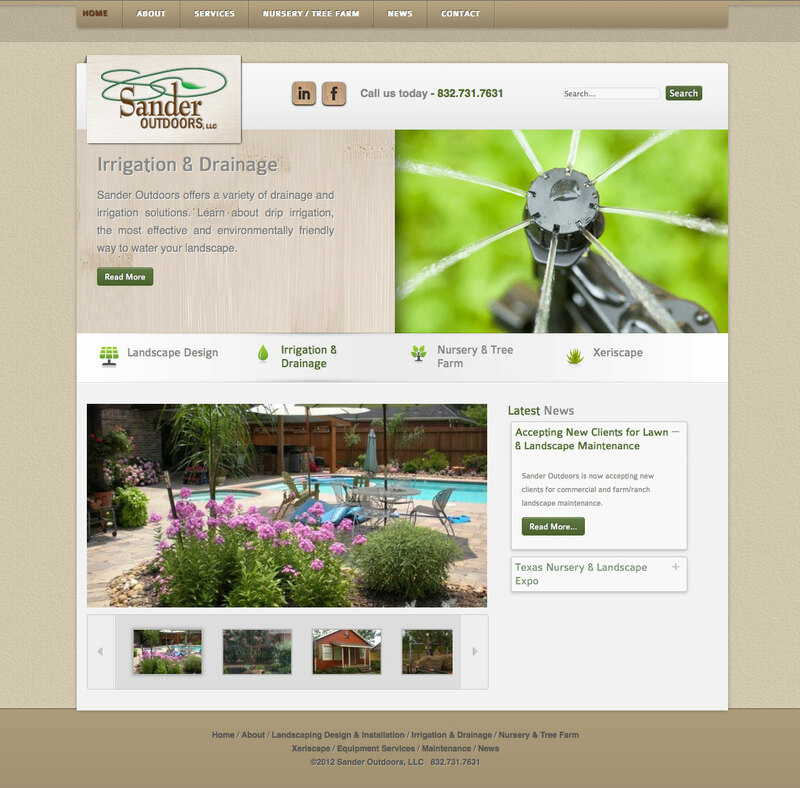 Mungo Creative developed content for, designed, and programmed this dynamic, content managed website for Sander Outdoors. 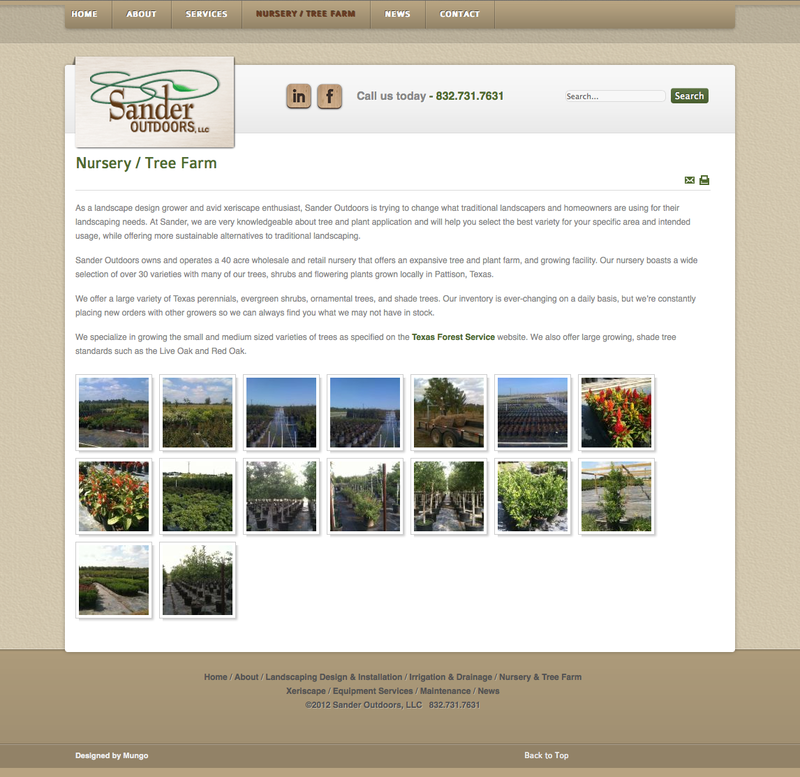 Some features include a large banner transition area, image gallery and contact form. The client is able to easily maintain all site content.